In my neighborhood, you can’t walk more than a couple of blocks without finding a few bustling cafés. A good cup of coffee is the morning and afternoon obsession for most people and this dessert is designed to fire all the same neurons. If you love coffee and you love chocolate, Mocha Sherbet is the best of both worlds. As we all know, David Lebovitz is among the most talented of all ice cream recipe developers. His recipes are superb and this one is no exception. 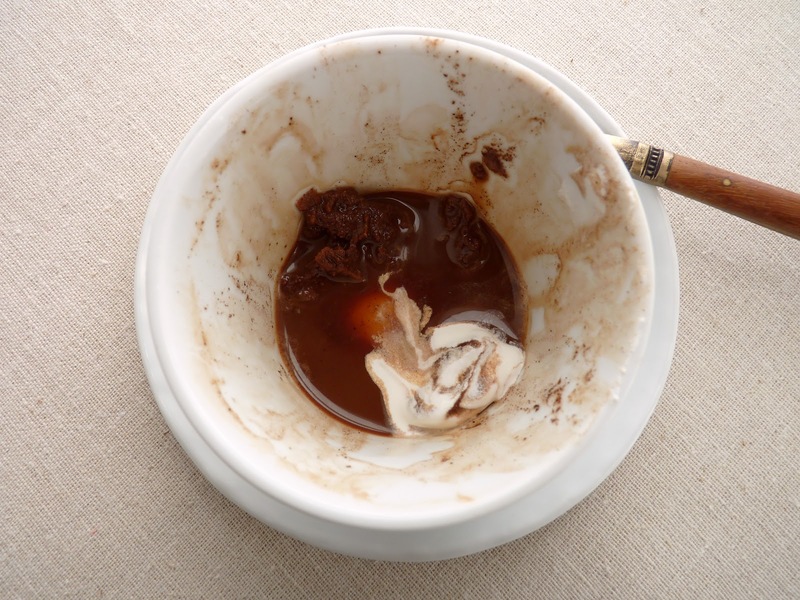 The jolt of coffee is matched with a depth charge of fudgy cocoa richness. And although it has a measure of milk to keep it from being too icy, it’s still fairly slushy, in a good way. 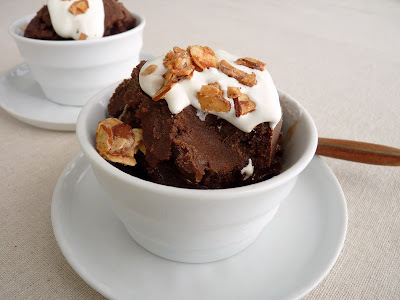 It has a sort of fudgesicle vibe, which makes it perfect for a spring or summer cooling down treat. The preparation couldn’t be any easier. Mix all but the milk in a saucepan, boil for 30 seconds, add the milk and there you have it. 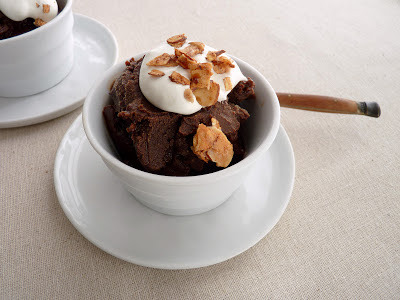 Chill the mixture thoroughly and then let your ice cream machine do all the work. It’s light and simple but so satisfying and so easy to make, I’m sure you’ll find a way to put it into your regular dessert rotation to serve to all your coffee aficionados. It’s fabulous all by itself but here I serve it with a dollop of whipped cream and a sprinkling of spiced and toasted almonds, a super luxe combination. I like the introduction of cinnamon to the mix and the crunchy almonds are perfect for the slushy chocolate. If you start mixing now, you can have this delicious sherbet by the time the afternoon crowd is rushing toward your local café. - For maximum flavor, I recommend making the coffee very strong. Use your very favorite coffee beans. I went with a dark Peet’s French Roast. - David gets 50 grams out of 6 tablespoons of cocoa powder. My scaled cocoa comes to 31 grams. I do fluff it up before measuring. But cocoa is notoriously hard to scale consistently, so go with what you prefer. - Bring the mixture to a full boil to cook out the chalkiness of the cocoa powder. - When you’ve churned the sherbet, it’s going to be pretty slushy but will firm up after a couple of hours in your freezer. - Always try to pack ice cream or sorbet tightly in an airtight container and press a piece of plastic into the surface to avoid air pockets where ice crystals will form. - David also suggests a recipe for Mocha Freeze: for each serving put 2 scoops (4 oz) of Mocha Sherbet in a blender with 1/2 cup (4 oz) very strong coffee or espresso, 1 1/2 tablespoons sugar and 3 ice cubes. Blend until almost smooth. Pour into a glass and top with whipped cream. Yikes. For the sherbet, whisk together the coffee, sugar, cocoa powder and salt in a saucepan. Bring the mixture to a boil. Boil for 30 seconds, whisking constantly. Remove from the heat and stir in the milk. Taste and adjust for salt. Pour into a container and cool. Cover and chill thoroughly. Freeze in your ice cream maker according to the manufacturer's instructions. Pour into an airtight container, press a piece of plastic wrap into the surface, cover and place in your freezer to firm up. For the spiced almonds, preheat oven to 300 degrees. Prepare a baking sheet with parchment or a silpat. Whisk the egg white until it’s frothy and opaque. Add spices and salt and whisk to combine. Toss in the sliced almonds and coat evenly. Sprinkle with sugar and toss to thoroughly coat the nuts. Spread them on the baking sheet in a single layer. Give them another light dusting of sugar. Toast for about 20 – 25 minutes or until they are dry and golden. 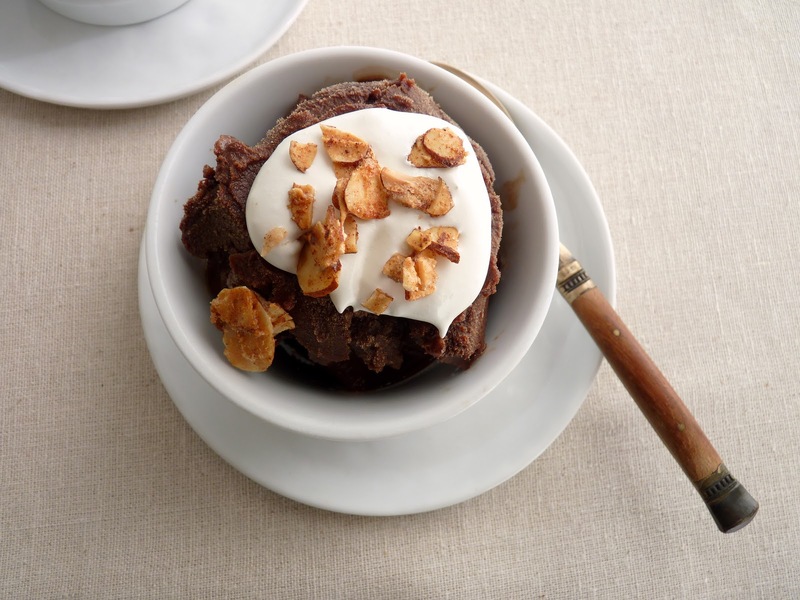 Serve a couple scoops of sherbet with a dollop of sweetened whipped cream and a sprinkle of almonds. At first glance, this cake seems innocent enough. Nothing about it screams for attention. But its plain appearance is somewhat deceptive. The sleek minimalism doesn’t quite convey the quiet deliciousness that unfolds with each bite. It all starts with a plain yogurt cake. But this canvas of simplicity gets punched up with a light touch of Kahlua simple syrup to make it a little more interesting. Then comes the filling and topping. If you don’t care for buttercream or are interested in a momentary diversion from chocolate, this cream is one to try. 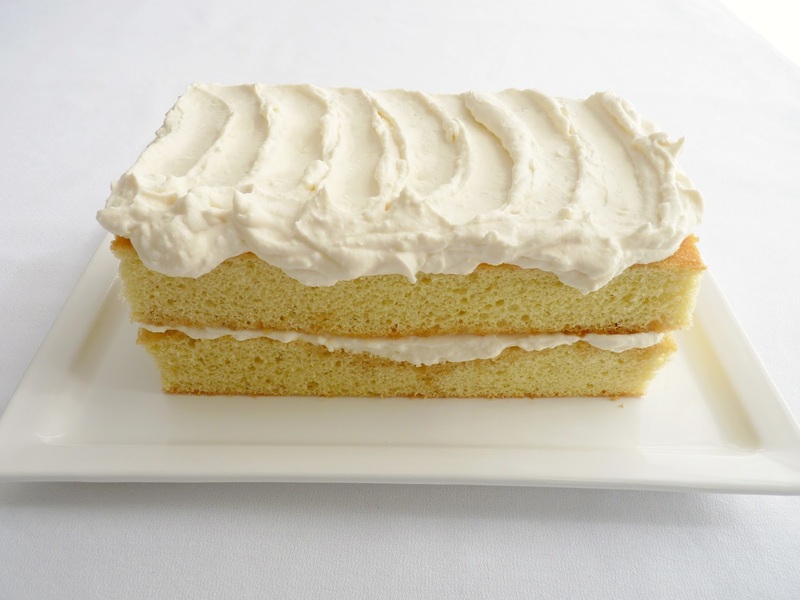 It’s a lovely combination of sweetened ricotta cheese, cream cheese and whipped cream punctuated with a little spot of rum and vanilla. It’s creamy and flavorful without being overly heavy or too sweet. 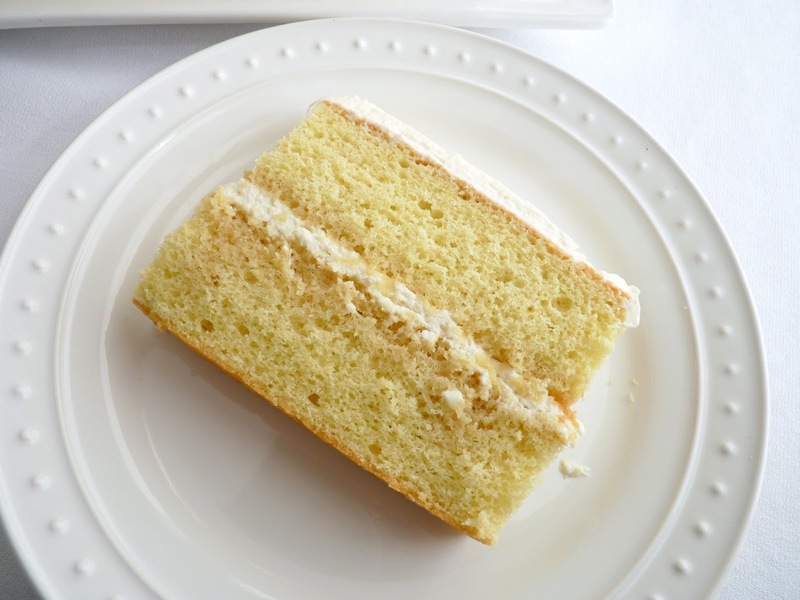 Perfect for an initmate celebration, this cake has a sort of Italian flair that is rustic and luscious. And if you’d like to liven up the platter, you can dress it up with some fresh cherries or berries for extra bling. - Fresh ricotta in this is fabulous. It doesn't take long to make and it's super delicious. - If you use commercial ricotta, strain out any excess liquid, if necessary. One of my favorite brands is Bellwether Farms. They also make great creme fraiche. - Start with softened cream cheese and beat it together with the ricotta just until it combines. Mixing it for too long will cause it to become thin and runny. It should look a bit gloppy rather than fluffy. - The filling for this cake is from a recipe called Baby Shower Cake in Cocolat by Alice Medrich. Preheat the oven to 350 degrees. Grease a 9” x 9" x 2” square pan and line the bottom with parchment, leaving an overhang on two sides. Sift the flour, baking powder and salt and set aside. In a separate bowl, whisk together the oil, sugar, egg and egg yolk and blend thoroughly. Add the yogurt and vanilla. Mix in the dry ingredients just until there are no streaks of flour. Pour the batter into the prepared pan and tap the bottom of the pan on a work surface a few times to release the air bubbles. Bake the cake until it's a light golden brown and springs back when touched or a tester comes out clean, about 25 minutes. Place on a wire rack to cool. For the syrup, heat the water and sugar until dissolved. Add the Kahlua and set aside. Strain the ricotta and beat together with the room temperature cream cheese just until combined. Do not over mix or it will become thin and runny. Slowly add the heavy cream. Then add the powdered sugar, rum and vanilla and beat until thickened like whipped cream. Lift the cake out of the pan and remove the parchment paper. 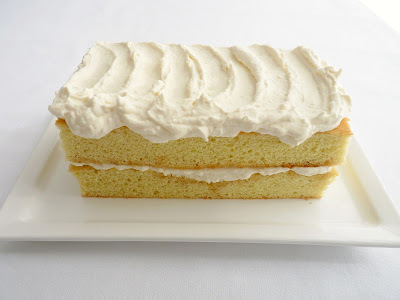 Using a serrated knife, trim all four edges of the cake, preserving its square shape. 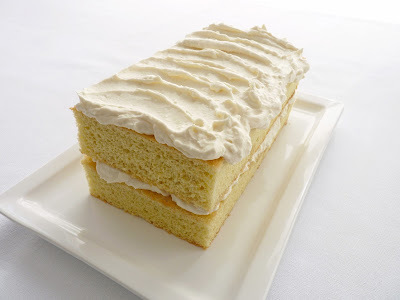 Cut the cake in half and, using a pastry brush, imbibe each half with the Kahlua syrup. Spread half the ricotta cream over one of the layers. Invert the second layer on top and slather the remaining ricotta cream over the top surface. It’s a weekend morning and the coffee is brewing. You’ve got plenty of reading material and there’s a relaxing quiet that surrounds the morning sunlight. There’s also an incredibly intoxicating aroma wafting from the oven. It’s freshly baked rolls and it’s enough to bring anyone out of their slumber to join you at the table. 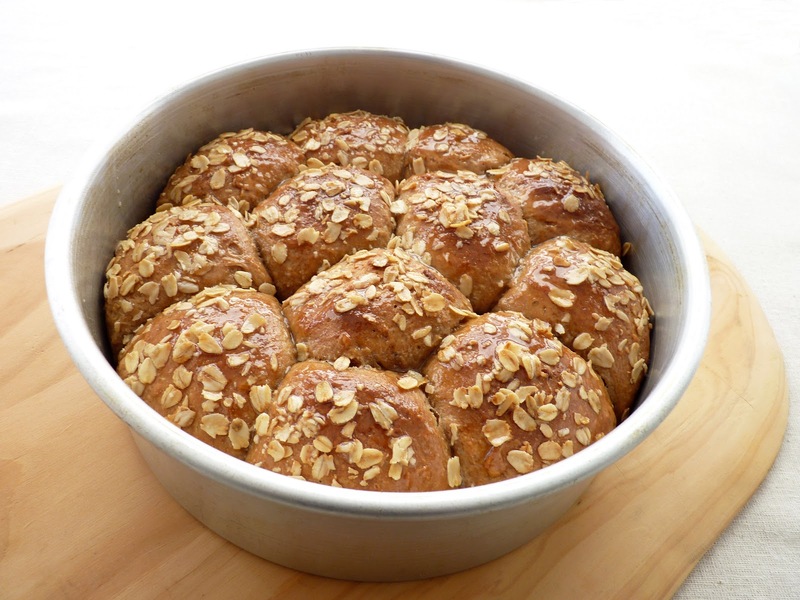 For something different and a bit more on the wholesome end of the spectrum for your brunch table, consider these rolls fresh from the oven. 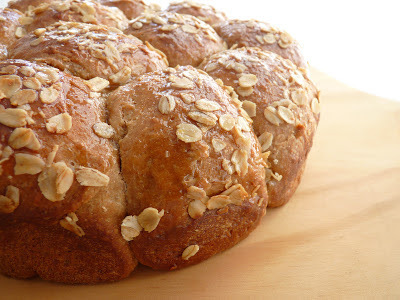 They have a good ratio of whole wheat flour, some oatmeal and they’re just slightly sweetened with honey and a touch of molasses. 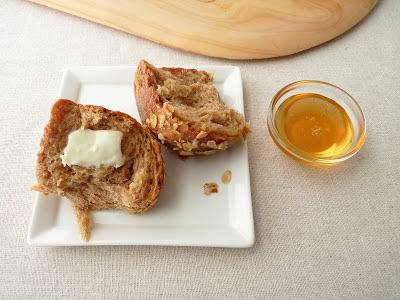 Serve them with butter and honey or your favorite jam or fruit compote to add another element of bliss to your weekend. On another note, I’m going to include metric weights in my recipes going forward for those who use scales and for my overseas readers. I hope you find this useful. - I use old-fashioned oats rather than “quick” oats in this recipe. - Ideal rise temperature for yeast dough is between 80° F - 90° F.
- This dough doesn’t exactly double in size during the first rise, so use the finger test to determine if it’s ready for the next process. Just press your index finger about 1 1/2 " into the dough. If the indentation stays, the dough has completed the first rise. - After the first rise, the dough is “punched down” to release the carbon dioxide and even out the temperature. But rather than punching, gently press the air out with your fingers. - To form a roll, take the portion of dough and tuck the ends under the smooth side. Place seam side down in the pan. 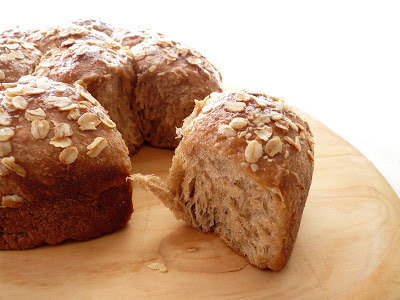 - Whole wheat flour contains bran, which inhibits elasticity of the dough, so I like to mix it with a good portion of all-purpose flour to produce a lighter pastry. Sprinkle yeast into lukewarm water, whisk and let it sit for 5 minutes. Melt the butter and whisk in the buttermilk, honey, molasses, salt, cinnamon and the egg. Whisk in the yeast mixture. Using a fork, stir in the oats. Add the whole wheat flour and stir to combine. Add 1 1/2 cups of all-purpose flour. Keep adding flour 1 tablespoon at a time until the dough is no longer sticky. Place the dough on the work surface and knead until smooth and elastic, about 5 – 8 minutes. Smooth the dough into a round ball and place it in a bowl lightly greased with oil. Cover with plastic wrap and place in a warm, draft-free area for 1 – 1 1/2 hours. To test if it’s ready, press your finger about 1 1/2" into the dough. If it holds the indentation, it's ready. Grease a 9” x 3” cake pan. Gently press down the dough and place it on a work surface. 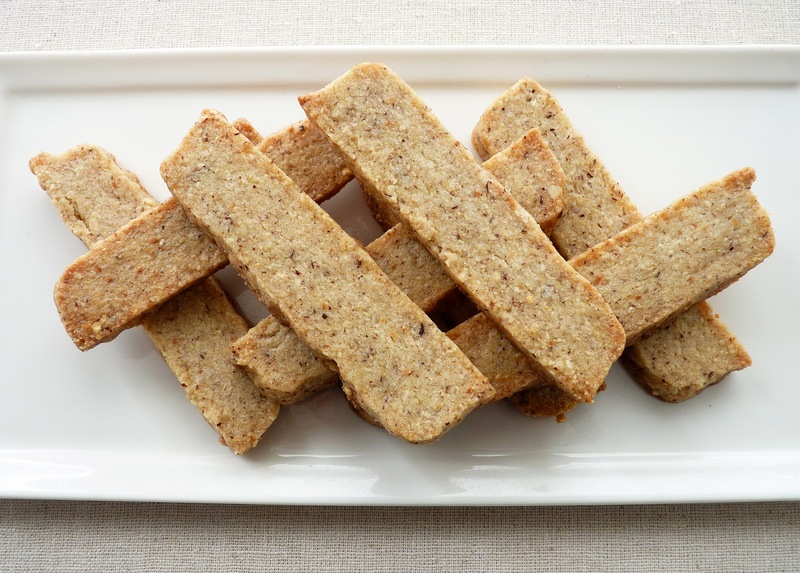 Using a bench scraper or a knife, divide the dough into 12 equal pieces. Take each piece and form a ball. Place 9 rolls around the perimeter of the pan and 3 rolls in the center. Set in a warm place to rise for 45 minutes. When ready to bake, preheat the oven to 350° F.
Melt 1 oz of butter with 2 teaspoons of honey. Brush half of it over the tops of the rolls and sprinkle with 2 tablespoons of oats. Place in the middle rack of the oven and bake until rolls are golden brown, about 25 - 28 minutes. Remove from the pan and brush generously with remaining melted butter and honey mixture. Cool on a rack. If you happen to have the luck of a few extra lemons in your kitchen, I’m here to give you some ideas. One of my favorite things in the whole universe of fabulous desserts is lemon mousse. It’s light and creamy and full of the tart pucker of lemon. In my book, it’s among the best of luxurious indulgences. It’s also pretty easy to prepare. Instead of serving lemon mousse on its own, I dollop it in a tart shell to introduce some texture. 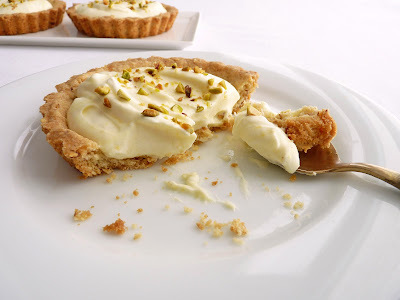 The tart shell has a little taste of almond and the dough is one of those easy mixes done in a food processor and then pressed into the tart pans rather than rolled out. The lemon mousse for this tart is a simple lemon curd blended with a fairly equal portion of lightly whipped cream. I usually also fold in whipped egg whites for an even lighter, more ethereal mousse when serving on its own. But for this tart, I keep it basic and slightly more substantial. 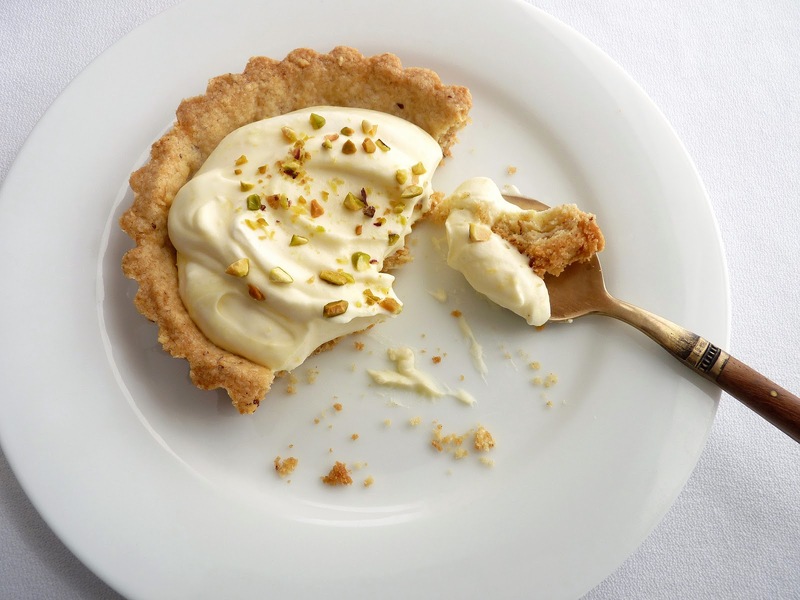 If you love lemon and the combination of creamy and crumbly, this tart should fill the bill. - Acidic ingredients like lemon are likely to pick up a metallic flavor and may also discolor if cooked in what's called "reactive" cookware. Aluminum, cast iron and copper are reactive metals. Stainless steel and glass are nonreactive. - Lemon curd can be made ahead and refrigerated for up to 2 days. Store it in an airtight container. 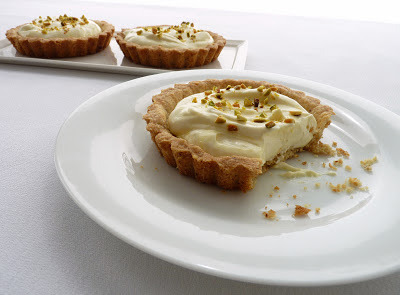 - If you prefer a plain tart shell, elminate the sliced almonds and use a total of 1 1/4 cups flour. - Freezing the formed tart shells for one hour before baking helps to eliminate shrinkage. - If you’d like to make the lighter version of this mousse on its own, make the lemon curd in the recipe. Then whip just 1/2 cup cream to soft peak. Fold that into the lemon curd and refrigerate. Whip 2 egg whites with 1 tablespoon of sugar to stiff peak. Fold into the lemon curd and cream mixture, spoon into serving dishes and chill. As always, exercise caution when using raw egg whites. They should not be served to small children, pregnant women or individuals who are at risk due to compromised immune systems. Lightly grease five 4” tartlet pans with removable bottoms. Place the flour, almond slices, sugar, salt and lemon zest in the bowl of a food processor and process to combine. Cut the cold butter into 1/2” pieces and add. Pulse until some of the butter is the size of oatmeal flakes. Stir the yolk and add. Process for about 10 - 15 seconds until the dough begins to form clumps. It will not be a smooth dough. Press the clumps evenly and smoothly into the bottom and sides of the tart pans. Trim any excess from the top of the border. Freeze the formed tart shells for one hour. Place the tart shells on a baking sheet. Bake until they are a light golden brown, about 20 minutes. Cool on a wire rack. For the lemon curd, whisk the lemon juice, zest, sugar and eggs in a non-reactive heatproof bowl. Place the bowl over a pan of low simmering water and cook, stirring frequently, until the mixture begins to thicken, about 3 – 5 minutes. Pour through a strainer into a bowl. Cut the butter into small pieces and add a few at a time, stirring to incorporate. Press a piece of plastic wrap into the surface and set aside to cool. Refrigerate until you're ready to assemble the tartlets. 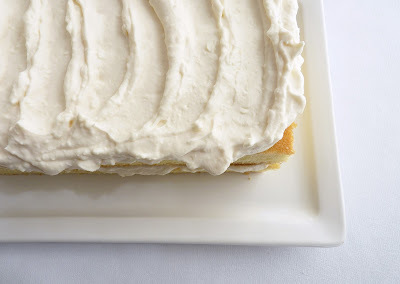 To prepare the lemon mousse, whip the cream with the sugar and vanilla to soft peak. Fold into the lemon curd and refrigerate. 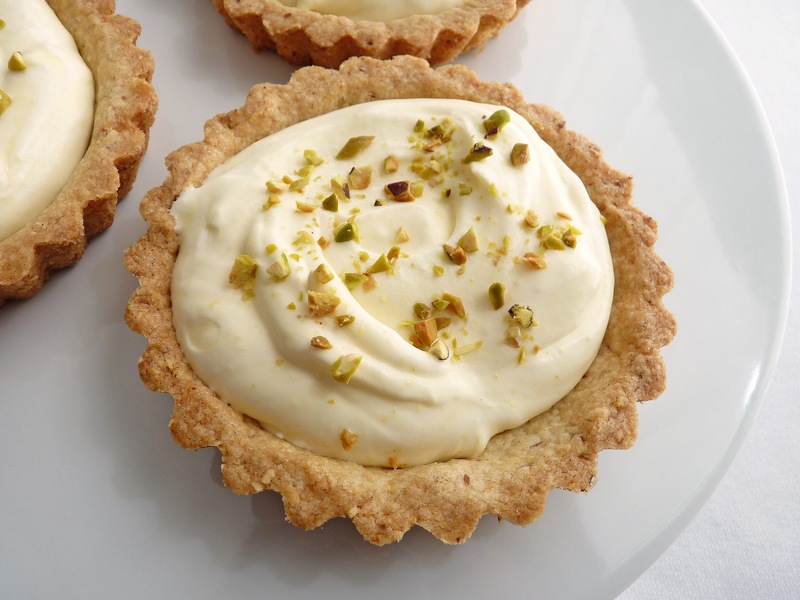 When ready to serve, dollop the lemon mousse into the tart shells and garnish with finely chopped nuts. How cool is it to discover you have a brand new favorite cookie? I just so happened to see this recipe featured on the ever-industrious Alice Medrich’s blog and right away I knew I had to get to the kitchen and see for myself. And wow, am I glad I did. 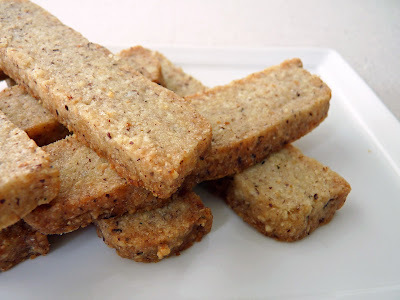 This is an incredibly delicious cookie, the kind of cookie that I will make again and again because of the perfect combination of flavors found in every bite. 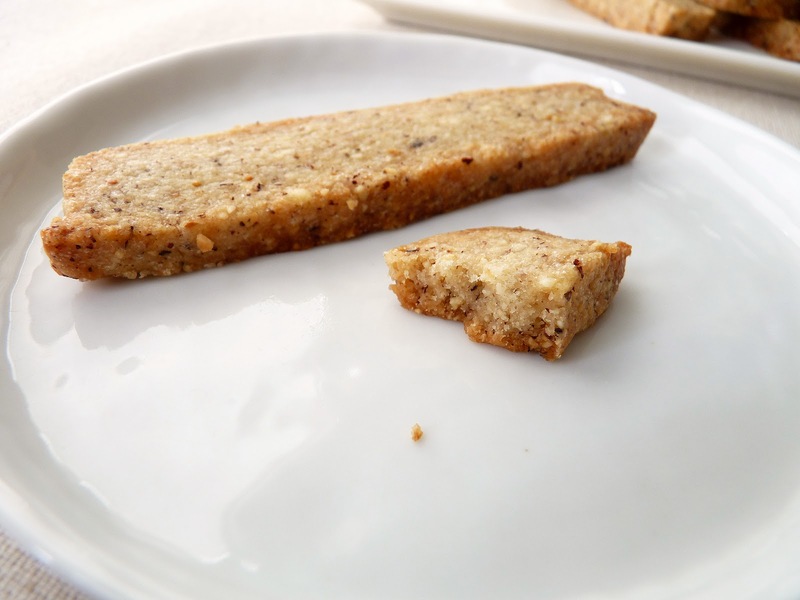 It sort of reminds me of a hazelnut sable I used to make at a restaurant only sturdier and made infinitely more interesting and much better with the use of olive oil instead of butter. The ingredients for this beauty are simple. 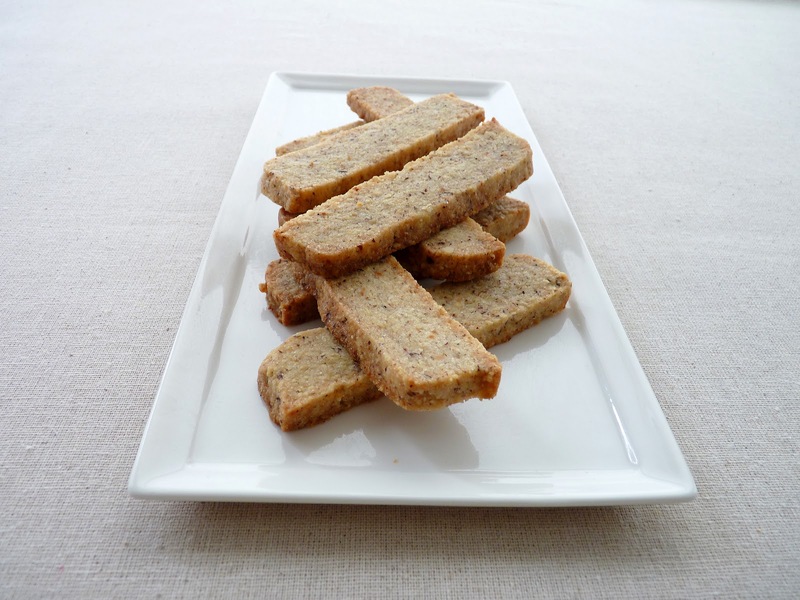 The cookie is built around the beautiful flavor of hazelnuts and the complexity of good extra virgin olive oil. Add the perfect amount of sugar and the saving grace of salt and you have a very elegant super crunchy cookie. It has a rustic appearance but I wouldn’t hesitate to serve it after a special occasion dinner with a good wine or at a champagne brunch with some fresh fruit of the season, like strawberries, apricots, peaches or figs. I think you and your guests will find a way to make another batch ASAP. It sounds like Alice is knee deep in more book projects – how does she do it? – and this cookie is a glorious creation she developed in the midst of a moment of procrastination. All I can say is, let’s hear it for the way she works!! So, to sum up – I love the flavor, I love the texture and I love how dangerously easy it is to make this. My new favorite cookie. - Alice calls for raw hazelnuts but I used the toasted ones I had on hand. The nuts should be skinned as much as possible. 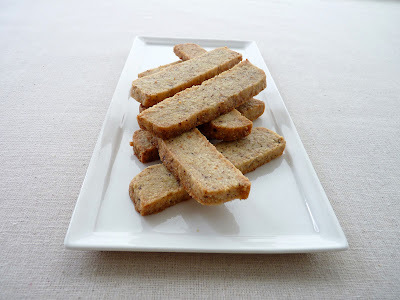 - I used the delicious California Olive Ranch Arbequina Extra Virgin Olive Oil in this cookie. - It’s easy to shape the cookie dough free form but you can press the dough into a loaf pan lined with parchment and plastic wrap if that is easier for you to do. - I found I needed to double the water, so you may also need to follow her instructions to add more if necessary. - I chilled the cookie dough overnight. It was very firm and made slicing a breeze. - I got about 30 cookies because I sliced mine only just slightly thicker. I really like them this way. How long you bake them will depend on how thick you slice them. - Cookies can be stored in an airtight container for several days. Place the hazelnuts, flour, sugar, salt, and pepper in the bowl of a food processor and pulse until the hazelnuts are finely chopped. Drizzle in the olive oil. Pulse until the mixture looks like coarse crumbs. Add the water and pulse just until the mixture resembles damp crumbs and holds together when pinched. It will not look like a smooth dough. Add extra water if necessary. Gather the dough on a sheet of plastic wrap and press it very firmly into a rectangle about 4” – 5” x 9” – 10” and 1/2” thick. Square the edges and wrap tightly. Refrigerate for 2 hours or overnight. Unwrap the chilled dough and place it on a cutting board. Using a long sharp knife, cut the dough crosswise into 3/8” slices and place on cookie sheets about 1” apart. Bake 15-18 minutes until cookies are golden brown, rotating baking sheets from top to bottom and front to back half way through the baking time for even baking. Place the pans on a wire rack to cool.